Receiving an unexpected wealth from a distant source, with apparently little to no strings attached, is as an appealing prospect as one can hope for. It not only fuels lottery schemes worldwide, but is a backbone of many literary and cinematic plots involving sudden inheritances and long-lost relatives. Even in the often hard-nosed sphere of international relations, the appeal of such a wealth – and the plot it can generate – can be a remarkably relevant factor. Chinese investments in Serbia provide an interesting political and economic setting in that sense. From the Serbian perspective, a rising global power is offering formidable resources for development. These are coupled with sufficient geographical (and perhaps geopolitical) distance so as to appear merely and genuinely ‘business-oriented’. In a seemingly intensifying game of ‘musical chairs’ between strategic orientations of Serbia towards the EU/US and/or Russia, the Chinese offerings might indeed seem like an escapist dream. Yet, as recent events tend to show, the geopolitical distance is shrinking fast and China is likely to introduce its own chair into the game at one point. What remains to be seen is whether it will be too hot for Serbia to sit on when the time comes. As for the background to this plot, and as aptly summarized by Nani Klepo for DAVA recently, Serbia (along a number of other neighbouring countries) faces a dire need for foreign investments in order to boost the economic growth. Within a broader background of war-marked 1990s, and more recent shocks brought about by the world economic crisis of 2008, Serbia remains one of the poorest countries in Europe. It faces a formidable gap between itself and even its neighbours which are worst performing in the EU – the accession to which remains the oft-proclaimed strategic goal. As indicated by the recent data on GDP per capita graph below (data provided by the World Bank), without dynamic leaps in GDP growth, Serbia is unlikely to make any serious headway. Foreign investment is often seen as a critical component in achieving this, although the efforts do not always seem well-directed. Regarding brownfield investments there is little left – the industrial titans of the ex-Yugoslav era have all been largely privatized, often with disappointing results and criminal charges at the end of the process. Attracting greenfield investment has proved to be a difficult task, often requiring governmental subsidies whose economic justification and implementation is sometimes controversial. The infrastructure remains in need of a massive overhaul, without at the same time crippling the national budget with expensive loans that could worsen the problematic (although seemingly improving) GDP-to-debt ratio. The political context is equally challenging. Leaving aside the purely domestic issues relating to the rule of law and political freedoms (certain aspects being also recently discussed at DAVA), the Serbian foreign policy walks on a tightrope. It pursues EU membership while balancing in the desire to maintain close relationship with Russia, whose support on the issue of Kosovo independence, among others, is seen as indispensable. These parallel pursuits have been under increasing tensions for some time, but the Ukrainian conflict exposed them fully. As has recently been made clear in a (highly publicised) exchange between the Serbian president Aleksandar Vučić and the US Deputy Assistant Secretary for Balkans Hoyt Yee, Serbia is seen as currently sitting on two chairs – a situation which may become untenable. When the music stops, a definite choice might need to be made. In light of all the complexities, it is not a choice (any) Serbian government is likely to cherish making. Enter China and the One Belt, One Road initiative. Economically and politically, this can indeed seem as a deus ex machina moment. In purely economic terms, the Chinese goal of linking the Piraeus port in Greece (recently bought and heavily invested into by Chinese state-owned Cosco corporation) with Central Europe through Balkans aligns well with Serbian infrastructure development plans. Often faced with the inability to find funding for the less cost-effective projects in the West (such as Belgrade – Montenegro highway/railway link), the readiness of China to provide funding is an opportunity too good to be missed. Although the exact terms of the arrangements remain so far insufficiently transparent and thus raise concerns, comparative experiences show that terms and interest rates can prove attractive. In light of this, the list of existing and planned projects relying on Chinese financing seems to be growing almost monthly. The so far most visible finished project (started in 2010) is a 170m € Mihajlo Pupin bridge over the Danube, mostly financed through the Chinese Exim bank loan, built by China Road and Bridge Corporation (CRBC), and symbolically opened during the December 2014 China–CEEC 16+1 Summit in Belgrade. Other, considerably more ambitious developments, are already in the pipeline. One is the financing (and construction by Chinese companies) of the sections of the Serbia – South Adriatic highway, with the loans totalling at around 550mln €. Another is the very recent start of development of a new block of the Kostolac power-plant. In a similar pattern, the financing of around 700mln € is provided by the Chinese Exim bank, and the works are conducted by the Chinese Machinery Engineering Corporation (CMEC). Even these projects are somewhat eclipsed by the proposed Belgrade-Budapest high speed railway. Directly on the Piraeus – Central Europe corridor, the proposed 3bln € project is so far the flagship of not only infrastructure projects in Serbia, but within the broader 16+1 China – CEEC group. And yet, the plans, as murky as details sometimes seem, are likely to go further still. Serbian prime minister Ana Brnabić spoke of 6bln € of currently planned projects, but this has been, in poker terminology, followed and raised by the Chinese ambassador to Serbia Li Manchang speaking of planned projects worth 10bln €. So far, however, the infrastructure financing has been followed by far less impressive direct investments. Still, a careful strategic choice of investment targets has allowed a relatively small FDI influx to have large symbolic significance and receive extensive media coverage. A 46mil € takeover of the only Serbian steel mill in Smederevo by Chinese State-owned HBIS looks modest in comparison with the numbers revolving around infrastructure loans. Yet, the mill was widely perceived to be a ‘hot potato’ of the Serbian economy after the previous (US) owner returned the ownership to Serbia for a symbolic 1$. The political and propaganda capital gained by the Serbian government by demonstrating its capability to save over 5000 jobs can hardly but endear it to further cooperation projects. There are indeed signs that – in the FDI sphere – China might be stepping up its game as well. Mei Ta Group, a producer of engines and automotive parts, opened a new plant in Serbia. Even more importantly, investment in a 500 hectare Serbia-China industrial park in Smederevo was recently announced, presenting a clear synergy with the takeover of the Smederevo steel mill. The economic aspect is thus of large importance, but also not unique – desire for Chinese investments is present in States both in and outside the EU. What is more striking in the Serbian context is the unprecedented level of political camaraderie, intensely warm rhetoric and almost singular lack of dissonant voices in the relationship between the two governments. 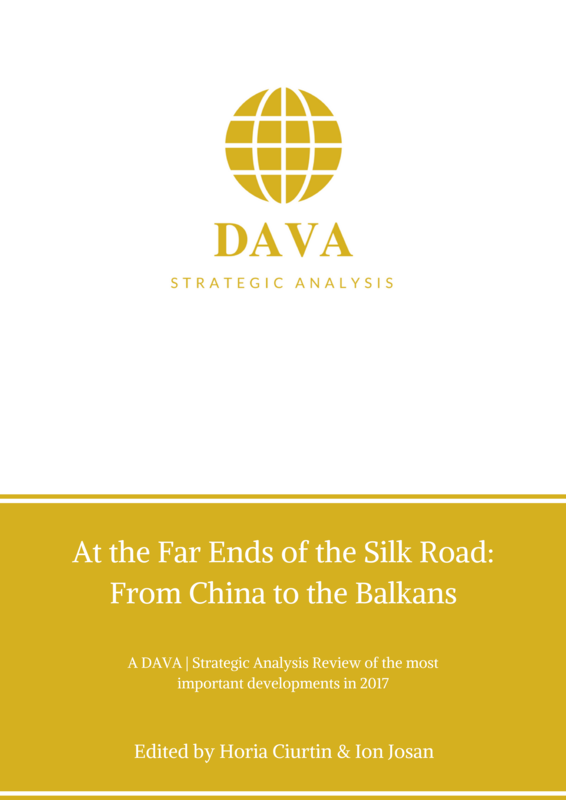 Starting with the 2009 Agreement on strategic partnership, there has been a string of bilateral agreements and a litany of less formal statements emphasising the close alignment between China and Serbia. Recently, and importantly, there has been a massive June 2016 round of 22 various agreements signed during the landmark visit of Chinese President Xi Jinping to Belgrade, including a new joint statement on comprehensive strategic partnership. As a particularly potent manifestation of this partnership, Serbia became the first CEEC country to sign (in November 2016) a visa liberalisation agreement with China, allowing a 30 day stay without visa requirements. The warmness of various less formal statements is perhaps best summarised by the recent statement of President Jinping’s special envoy to Serbia, stating that Serbian and Chinese presidents are ‘not just partners, but political friends and brothers’. One might wonder how a democratic, market-oriented EU candidate country and a communist superpower might be seen as political brethren. Perhaps this simply indicates how nominal and provisional all these denominators might be. From the Serbian perspective, the openness to close relations arguably largely stems from the perception that they are ‘safe’ in light of China’s geographical and political distance from the everyday quarrels engulfing the Balkans – and often involving representatives of EU, Russia and US as almost tabloid stars. A distinct positive feature is also the support that China has for both ‘chairs’ – supporting the EU candidacy is coupled with principled opposition (alongside Russia) to independence of Kosovo. The closeness is also nurtured on the cultural side by the historical ties between former Yugoslavia and China, and even by the now considerably long presence of a Chinese community in Belgrade. The question that looms large, however, is when and how the honeymoon ends. Business might precede (geo)politics, but is unlikely to replace it indefinitely. China is a State and a rising global power, not a corporation or (even less) a charity foundation. As has been shown by the recent votes by Portugal and Greece concerning the EU position on China and investment screening procedures, crucial economic support in times of need can translate into remarkable political clout. It is at this point unclear when and where exactly a need might arise for Serbia to repay Chinese loans and investments with more than money. Some scenarios seem plausible. One situation is the eventual membership of Serbia in the EU, where the expectation of similar pro-China votes seems clear. But that membership at this point does not seem close – and yet during the accession process similar critical junctures may be reached. The refusal of Serbia to align its foreign policy with EU regarding sanctions against Russia might relatively soon be accompanied by similar refusals to adopt particular policies or statements concerning China. Concerns raised by EU officials regarding the way Chinese investments are implemented can find their way into various negotiation chapters with Serbia. In these and similar scenarios, it might become apparent that a new Chinese chair is now a definite part of the Serbian foreign policy game. In between the expressions of political brotherhood, there seems to be no clear vision at this point in Serbia as how to deal with these challenges when the time comes. But an equally important question from the broader perspective of EU/China relations is how the challenges are to be posed by the EU. The essentially passive and reactive tactic of objecting to particular features of Chinese projects (such as transparency and compliance with tender regulations) would hardly on their own do much to raise the appeal of staying on the EU path. So far, this has rather managed to elicit negative comments from Serbian officials. What seems to be required is a far more proactive and multi-pronged approach that not only keeps the accession prospects strongly alive, but also combines both the new investment initiatives (such as certain components of the EU-Western Balkans Berlin process) with a far higher degree of visibility of the existing EU support. On the other hand, it is deeply uncertain if the EU which faces Brexit, the ongoing migrant crisis and certain rule of law issues concerning Member States can find sufficient resources (and vision) to answer Chinese advances with similar means. These means should recognise the legitimate need of countries like Serbia for massive investments in various forms and in various fields, in addition to the lofty promises of European future. Unless this is the case, no one should be too surprised about the appeal of a rich relative from abroad bringing not only promises, but full coffers of money.